Three different appearances, three different looks. 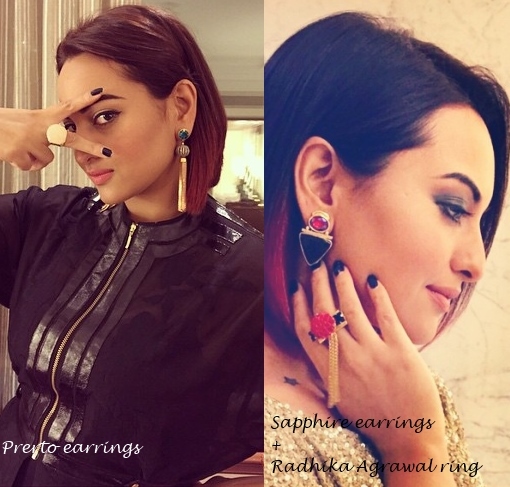 Of Ms. Sinha’s recent appearances during her promo tour, the one in Ikai stood out the most to us. We’d have to pick that as the favorite… You? Love the haircut & earrings, none of the outfits for me! Frankly, none of the dresses appeal to me. But she looks RADIANT! I liked the middle one the best. She looks fab in it. 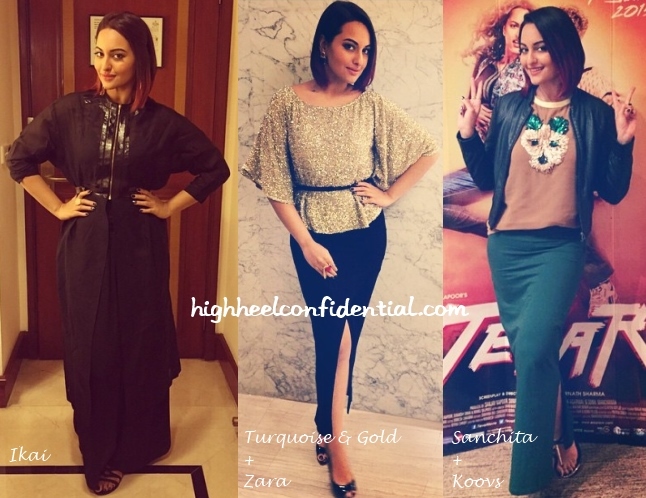 Agree with Tania..I liked the middle one too…having said that..Sonakshi’s transformation is amazing…she is having fun…. Love her in the second attire! She looks good in all three but I like the second one the most. I like her in Zara best. The Ikai makes her body look shapeless. Ugh. She looks good in the zara after all that filtering done. I think I’m the only person who isn’t digging her haircut. Also not digging her new “edgy” looks.